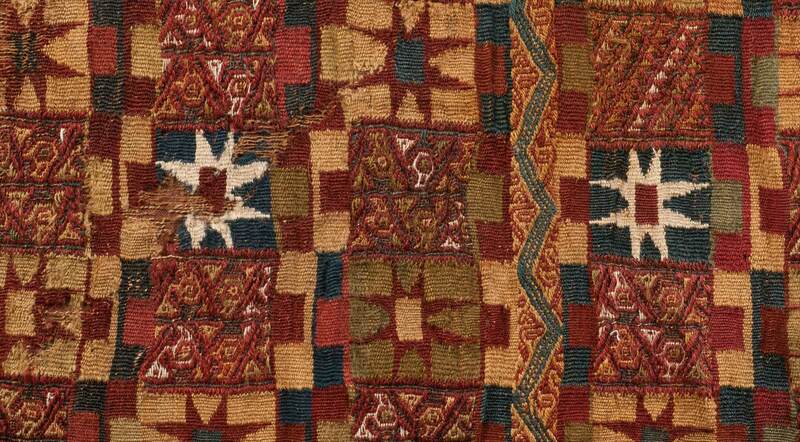 This high-quality tunic is typical of the productions from the south of Peru during the Inca period. The eight-pointed star is characteristic of the style of the Chuqui­bamba region. In addition to this motif that is repeated several times, this unku is decorated with bands of symbols called tocapu. 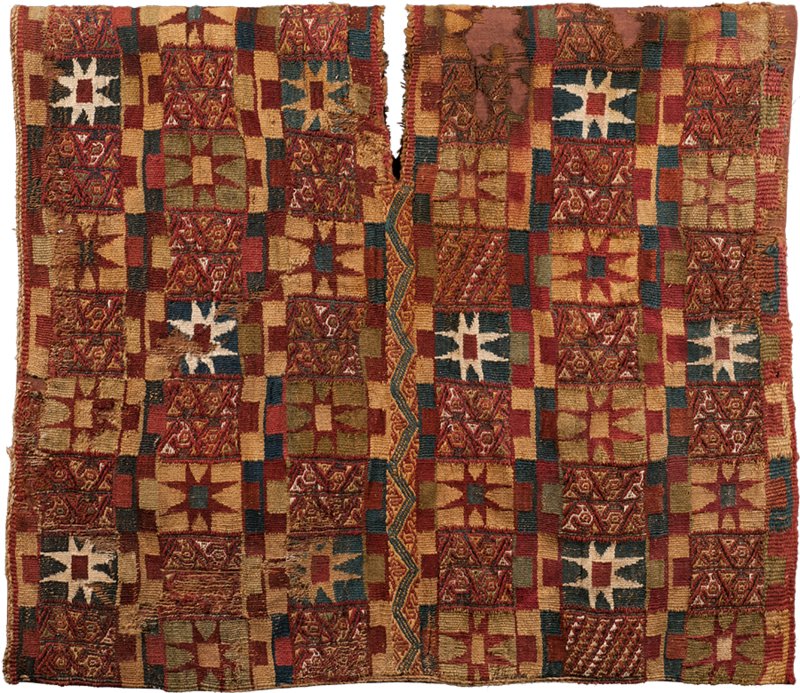 This term refers to a type of motif that develops mainly in the Inca period on clothing reserved for the nobility. The motif consists of squares or rectangles of polychrome geometric drawings that form horizontal bands or, in some cases, a checkerboard pattern. These complex motives have aroused the interest of researchers; some believe they represent a form of writing, others identify them as imperial emblems, much as the blazons or coats of arms of the European nobility. 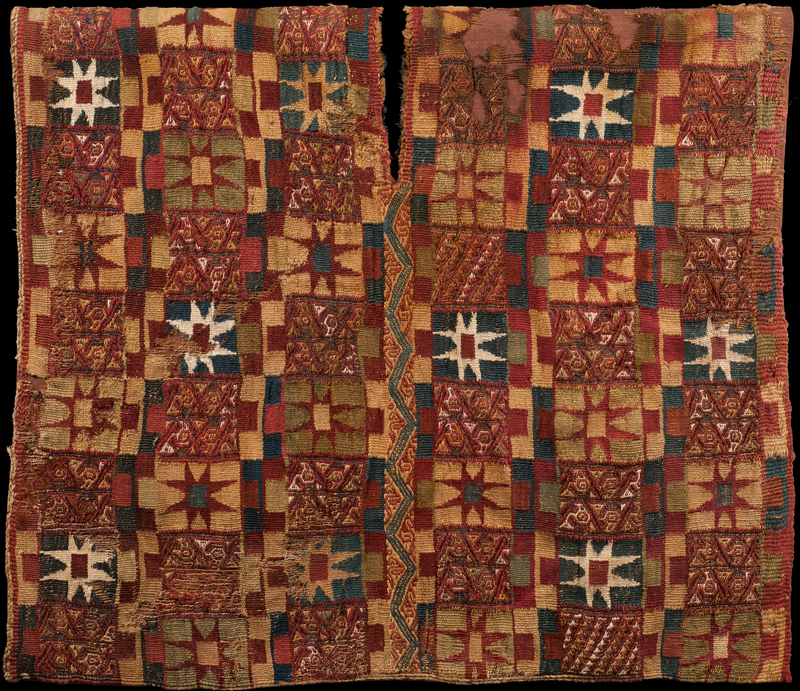 For the Inca, this tunic must have provided information about the social and economic status of the person wearing it, but also about the culture to which he belonged. All the beauty and complexity of the dress and adornments of the peoples of the Andes are the subject of the vast exhibition ‘Inca. Dress code’ which will open in November.